Who doesn’t love a bonfire on a chilly fall night? I know I do! Just thinking about the crackling of the fire along with the feeling of wrapping up in a blanket to keep cozy and warm makes me wish I was sitting by a bonfire right now. 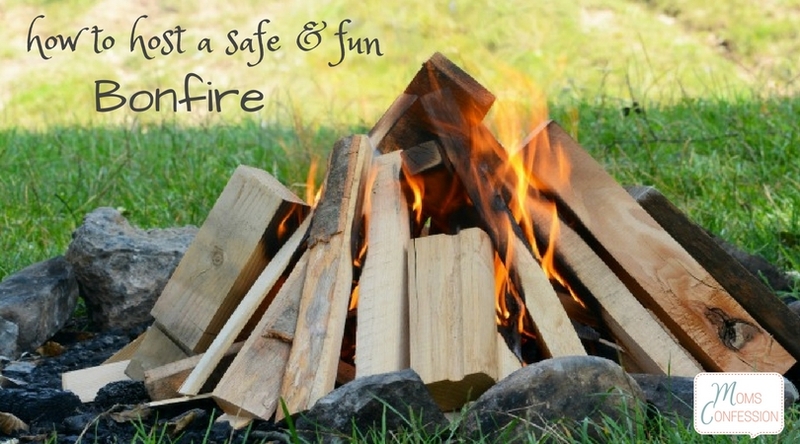 Hosting a bonfire is a perfect way to end your summer as we head deep into fall, but there are some things to keep in mind as you get ready to do it to make it safe, enjoyable and in some cases, legal. Here are my tips for creating the best bonfire experience! First, check with your local authorities. Usually, the fire department is a great place to get answers. Ask them what the city has as far as regulations on how big the fire can be, where it can be located and even how to build a bonfire and pit to local laws. If you plan on holding your fire on public land, such as a campsite or beach, make sure you don’t need a permit to do so. Alert them to the fact that you will be holding one as a courtesy even if you will be doing it on private property. Send out invites at least two weeks in advance, so people have time to fit it into their schedules. Be selective on who you invite as you don’t want too many people at your bonfire for safety’s sake. Plan on some snacks. Often, traditional camp food is best. Make S’mores, hot dogs, hobo stew or even a pot of chili. Make sure to keep a cooler with cold beverages nearby early in the evening and a way to make hot drinks later when temperatures start to dip. When it comes time to dig your pit for the fire, make sure it is not too close to trees or homes and that you can dig the space large enough that it is 1-2 feet wider than the fire you want to have. It does not need to be super deep, as you want air to be able to get to it to keep it going, but you should dig in a little bit, so it stays contained better. Build your bonfire small at first and add onto it to keep it going. A bonfire does not need to be super huge to be enjoyable. Only add good fuel to avoid smoke or smothering out the flames. This means that you should add dry wood, not garbage, moss, wet sticks or anything else. Talk with younger ones and even teenagers about fire safety. It is not for playing in, poking at or messing with. Only adults should tend the fire. In fact, make sure you designate a particular person who can tend the fire for the evening, not only keep it going but make sure it stays contained. Have a water source nearby. Whether that is several buckets of water or a garden hose, having a water supply near the fire is crucial for safety’s sake and is often a requirement by law. Make sure everyone dresses in layers. This way, you can take off as you get too warm and add if you get too chilly. 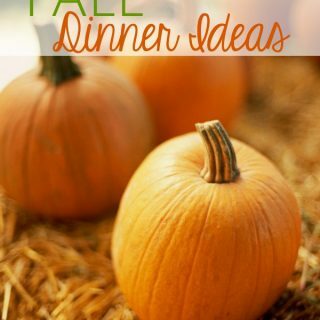 It is also a good idea to ask your guests to bring lap blankets and chairs for everyone. Make sure the lawn chairs used are fire-proof or at least fire-retardant. 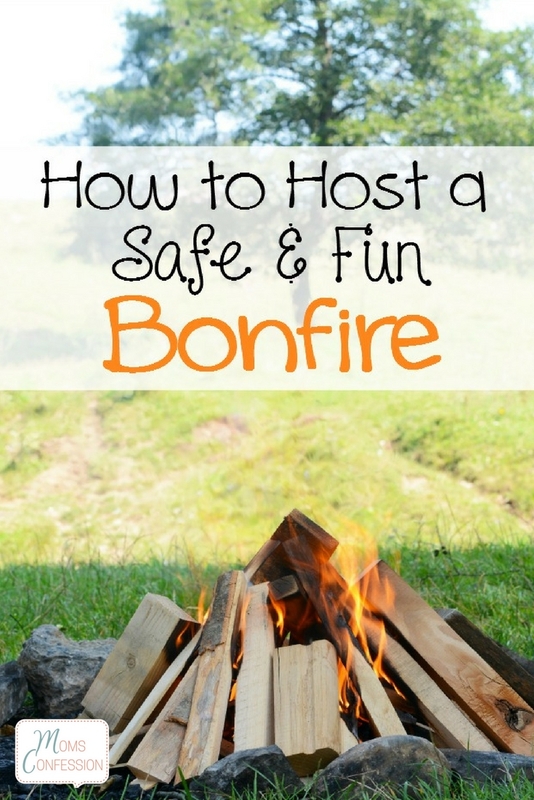 Share your tips for hosting the best bonfire ever!